Check-in is at 2pm on the day of arrival. Check-out is at 12pm on the day of departure. Can I get an early check-in? An earlier check-in is subject to availability and can not be guaranteed until the day of arrival. If your room is ready early we will be happy to check you in. Otherwise, we are happy to store your luggage until your room is ready. Can I get a late check-out? Late check-out is available at a fee and must be arranged with the reception during your stay. Please note, that a late check-out is subject to availability. Bookings require a credit card for guarantee only unless otherwise stated. For some special offers and specific dates, full payment is required at the time of the booking but these terms will be outlined in the special offer terms & conditions. For all rooms that are being paid for in cash must be accompanied with Photographic Id. No rooms will be let unless payment is guaranteed. Yes, Maldron Hotel Shandon Cork City offers free cancellation up to 2pm on the day of arrival for almost all reservations made on maldronhotels.com or maldronhotelshandoncorkcity.com. Some special offers and key dates may specify a special cancellation policy, these will be clearly outlined in the terms & conditions. 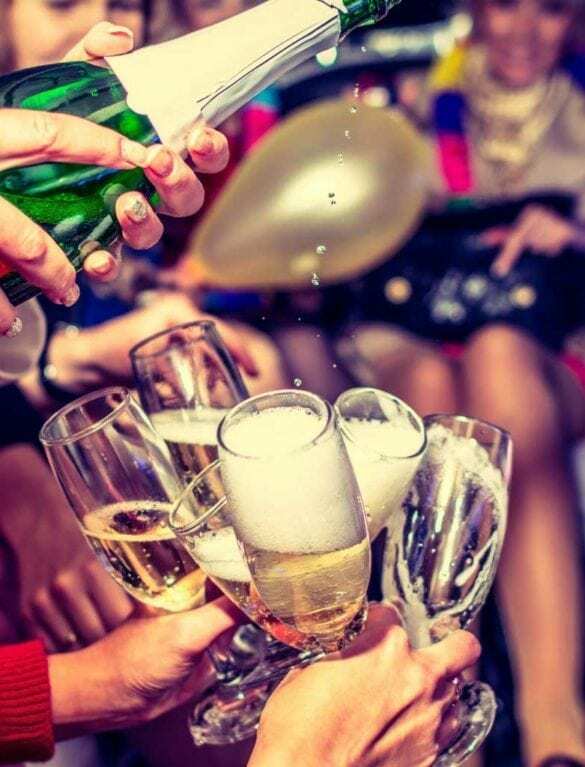 Reservations booked on third party websites and online travel agents have their own cancellation policies, please refer to your confirmation email. What times is food served? 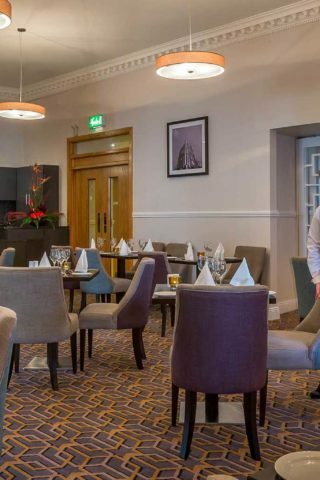 Our Grain & Grill restaurant serves breakfast from 7am to 10.30am Monday to Friday and from 8am to 11am weekends and bank holidays. Dinner is served daily at our Grain & Grill restaurant from 6pm until 9pm. 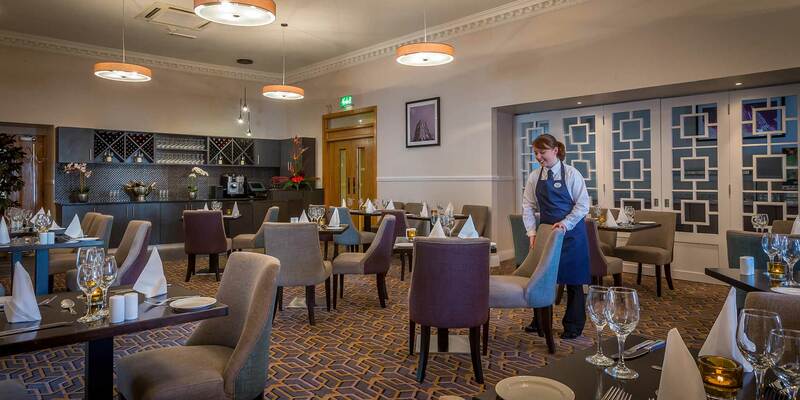 Lunch menus are also available for groups but do need to be reserved in advance. Bells Bar serves coffees and pastries from 10.30am to 12.30pm daily and full bar food menu from 12.30pm to 9.30pm. Outside of these times, we have a 24-hour sandwich and pizza menu available for room service. How far away is Cork city centre? 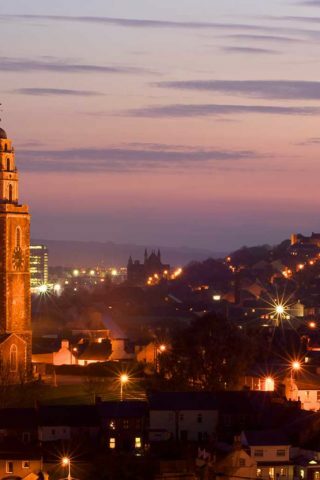 We are located in the historic Shandon district of Cork city. The famous Cork Opera House is just across the River Lee with St Patrick’s Street a short stroll beyond. 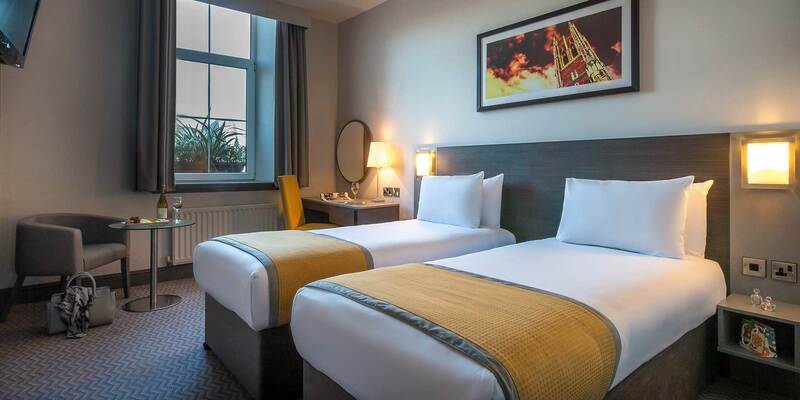 Our hotel is also between 5 and 15 minutes away by car from other important Cork attractions such as Pairc ui Chaoimh, University College Cork and the University Hospital. How far is Cork airport/ Kent train station/ Parnell Bus Station from the Hotel? Cork Airport is a short 20 minute drive to the hotel, there is also a frequent bus to the city centre from and to the airport. Kent train station is a 15 minute walk from the hotel and Parnell bus station is only a 10 minute walk from our hotel. Our proximity to Cork’s main transport services makes travelling to or from Maldron Shandon Cork City easy and stress free. Is car parking available at the hotel? Our guests can avail of special discounted rates at Carroll’s Quay Car Park, located only a 3 minutes’ walk from the hotel. Please arrive at the reception to check-in and we can provide these tickets to you. On-street metered parking is available in the immediate locality and there are a very limited number of parking spaces at the hotel allocated on first come, first served basis. 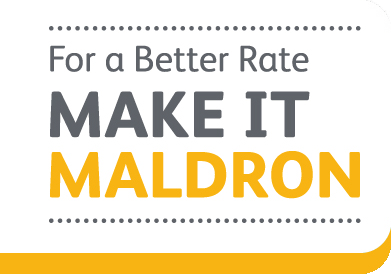 Read full details of parking at Maldron Hotel Shandon Cork City options and current rates. 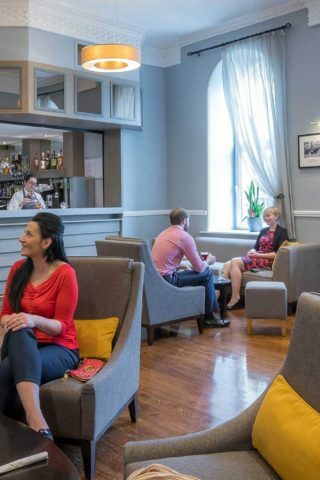 Yes, Maldron Hotel Shandon Cork City is pleased to offer complimentary WiFi in all public areas and bedrooms. 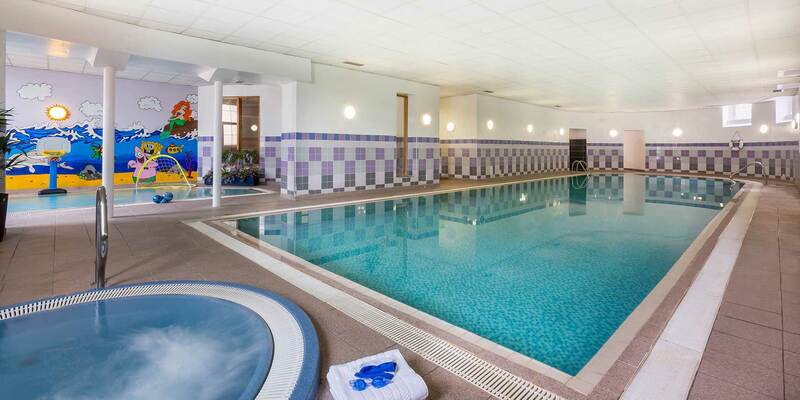 Yes, Maldron Hotel Shandon Cork City has a 20m indoor swimming pool. 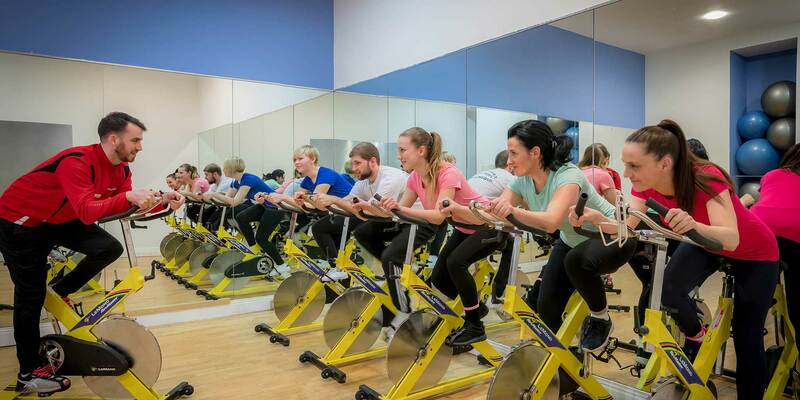 Moreover, our guests have access to the Club Vitae leisure centre with a fully equipped gym, separate kids pool, sauna, steam room and Jacuzzi. We are proud to have some of the finest leisure facilities in Cork! Does the hotel offer family facilities? 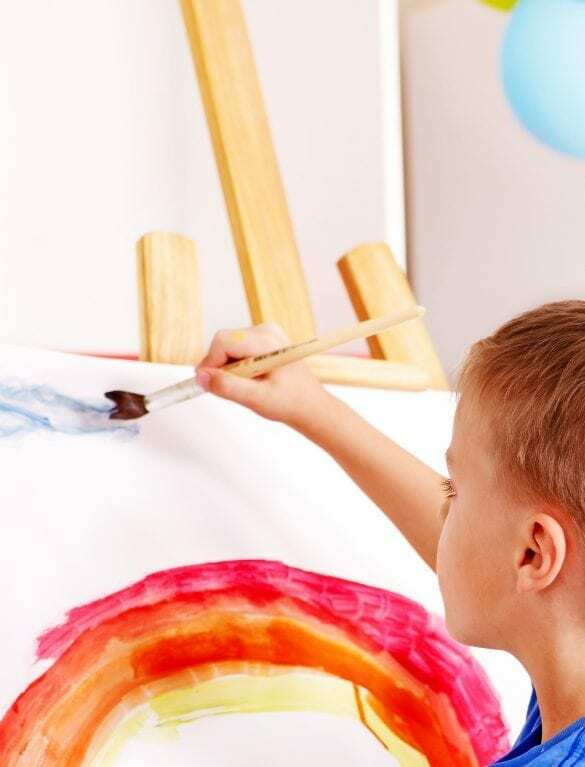 Yes, our complimentary Crafty Kids Club is available during school holidays. 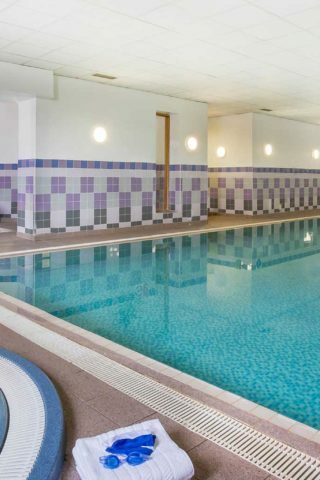 We also have a kids’ pool and large family bedrooms available. Check out more about family holidays on our website. Do you accommodate rooms for 2 adults and 3 children? Yes, we offer family rooms in the hotel which have 1 double and 2 single beds. We are happy to negotiate a rate for interconnecting rooms. Please contact us directly to discuss +353 (0)57 869 5900. Yes, cots are available. Please make sure to book your cot at the time of the booking as they are on a first booked, first guaranteed service. Are there ironing facilities in the bedrooms? Yes, we have ironing facilities in all of our bedrooms. Yes, we have hairdryers in all of our bedrooms. Are there smoking rooms in the hotel? No, we operate a smoke free policy in Maldron Hotel Shandon Cork City and therefore we do not have smoking rooms. Please note that a failure to adhere to this policy will result in an additional cleaning charge. What is the history of the hotel? Constructed in 1720, our building was the North Infirmary Hospital serving the people of Cork until its closure in 1987. 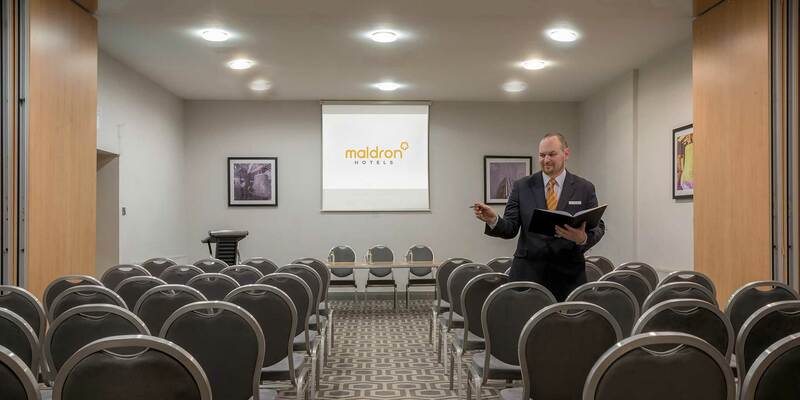 After period of dereliction it was converted into a hotel and subsequently acquired and upgraded to the 4 star Maldron Hotel Shandon Cork City. Read here more of our history. If you have any further enquiries please contact reservations via phone +353(0)21 452 9200 or email [email protected]. 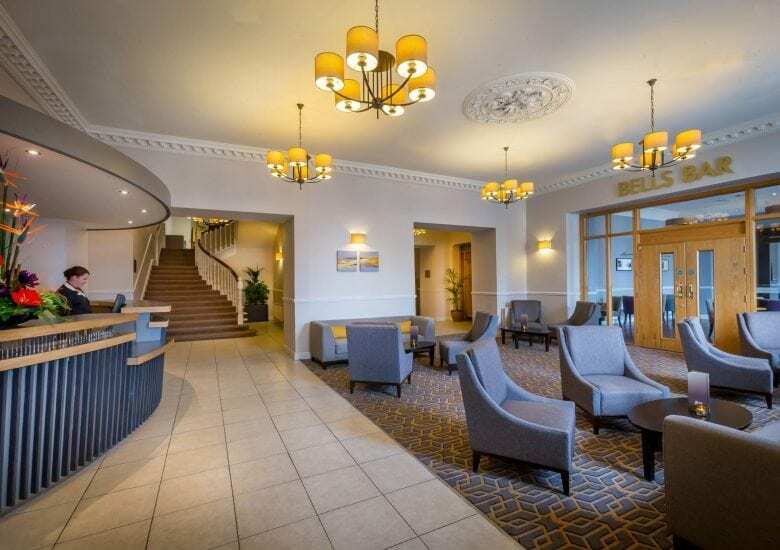 The newly refurbished 4 star Maldron Hotel Shandon Cork City is located in the heart of Cork City, in the historic cultural quarter, near the famous Shandon Bells. Enjoy this Easter Mid-Term with your family at the Shandon Cork & save 10% on our best available Bed & Breakfast rates. 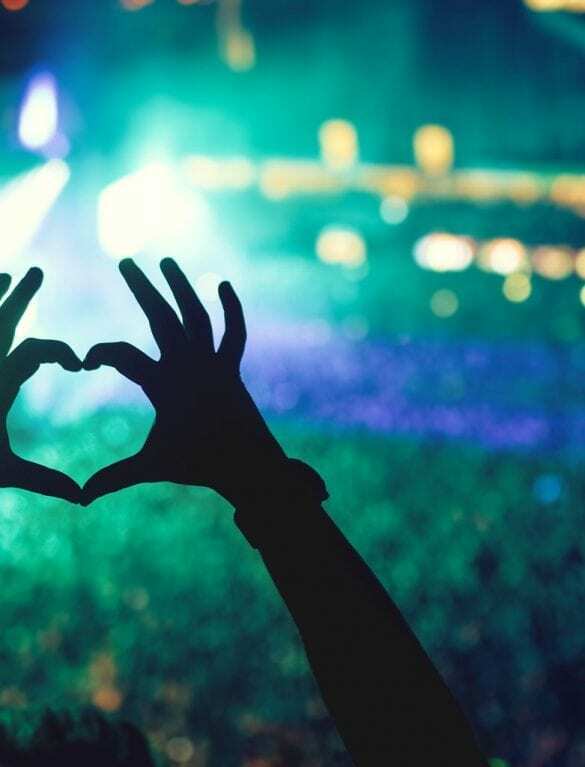 Enjoy your favourite act at Live at The Marquee this summer with B&B at Maldron Shandon Cork! 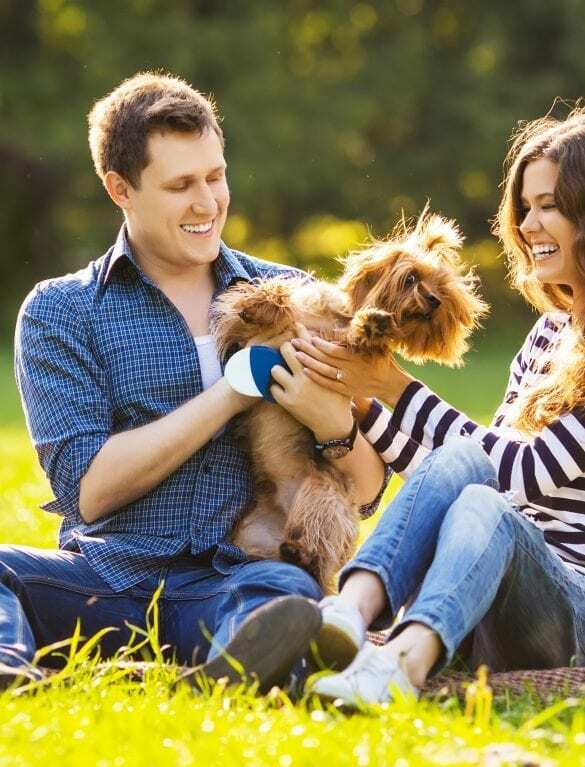 Treat the family to a 2-night break in Maldron Shandon Cork with a trip to Fota Wildlife Park! 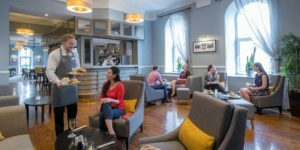 The recently refurbished Maldron Hotel Shandon Cork City is located in the heart of Cork’s historic cultural quarter on John Redmond Street near the famous Shandon Bells. Enjoy comfortable, spacious and affordable accommodation. This, plus efficient, friendly service from staff who genuinely care, will make your stay unforgettable. It offers the perfect base for exploring this wonderfully historic city. 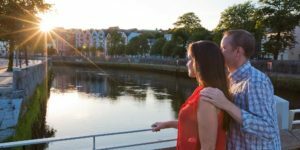 We’re close to a large range of popular attractions in the city: just a walking distance from the Opera House, close to Pairc Ui Chaoimh Stadium, 10 minutes away driving from UCC Cork and 15 minutes away from Cork University Hospital. Excellent location within a stones throw of all the city has to offer. Rooms are modern, clean and sizeable. We had a lovely view from our three huge windows. The kids pool is excellent. Discover the city on your doorstep. 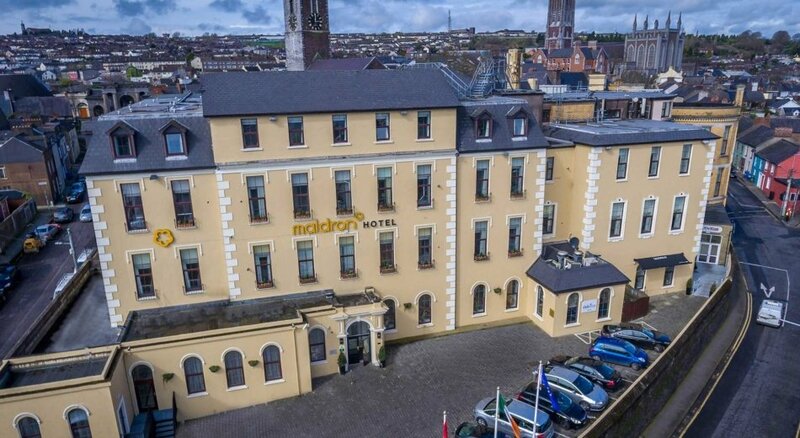 Maldron Hotel Shandon Cork City is conveniently located in the historic district of Shandon, Cork city centre, minutes walk from Patrick’s Street, Cork Opera House and Cork Kent Station. 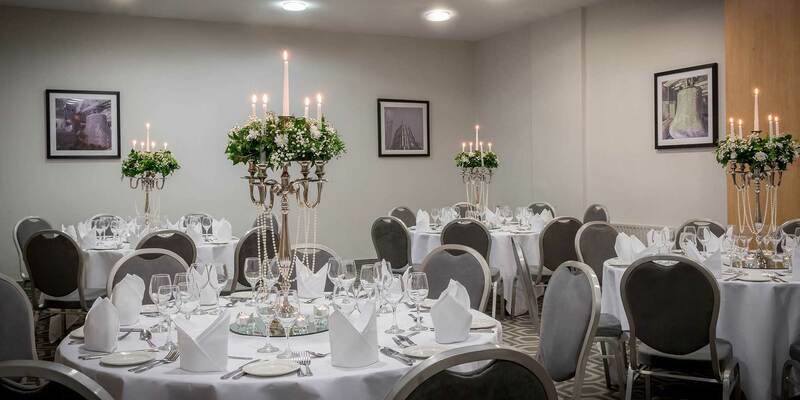 Guests can avail of discounted overnight rates at nearby Carroll’s Quay Carpark. We invite you to enjoy flavoursome dishes prepared from fresh, local produce in grain & grill restaurant. 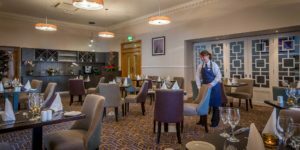 Menus feature plenty of healthier options including vegetarian and gluten, nut and dairy free options. 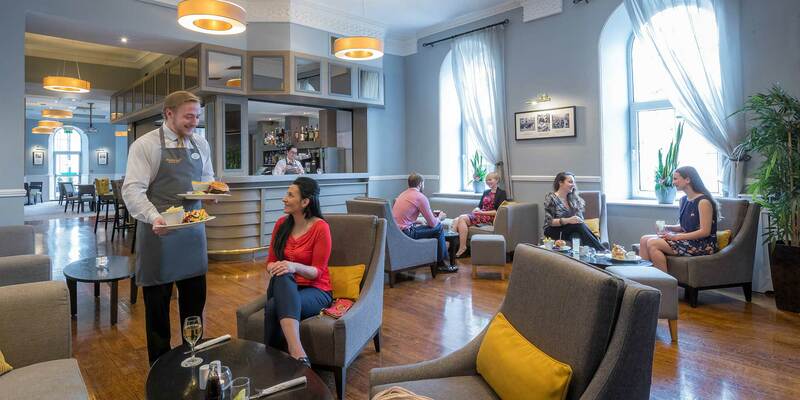 Get acquainted with the local history and culture in one of Corks most popular bars. 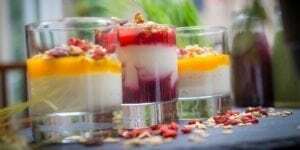 Enjoy a light snack, hot meal and scrumptious dessert from the bar menu. 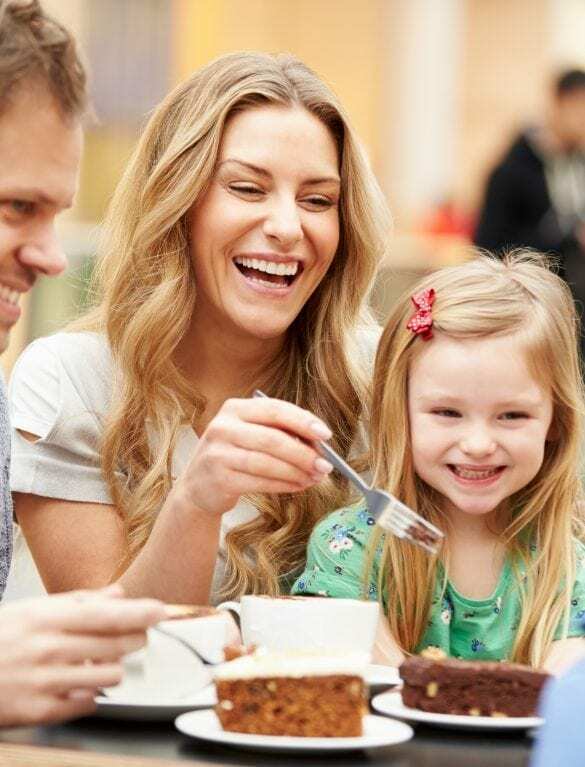 As well as an extensive hot and cold buffet enjoy our signature Maldron Vitality Breakfast of healthy and flavoursome breakfast items including our special recipe muesli, porridge bar and the most diverse fruit selection. 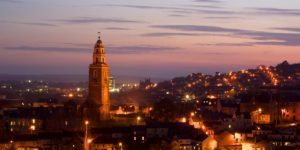 Cork city is steeped in rich history and located in the cultural quarter, nestled by the famous Shandon Bells, Maldron Hotel Shandon Cork City is the perfect choice for your break in Cork. Cork Opera House is just across the River Lee with St. Patrick’s Street behind. 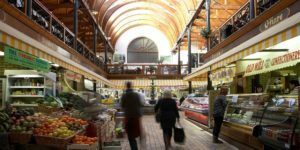 Cork is a city famed for festivals and events and you’ll find all the venues easily accessible. 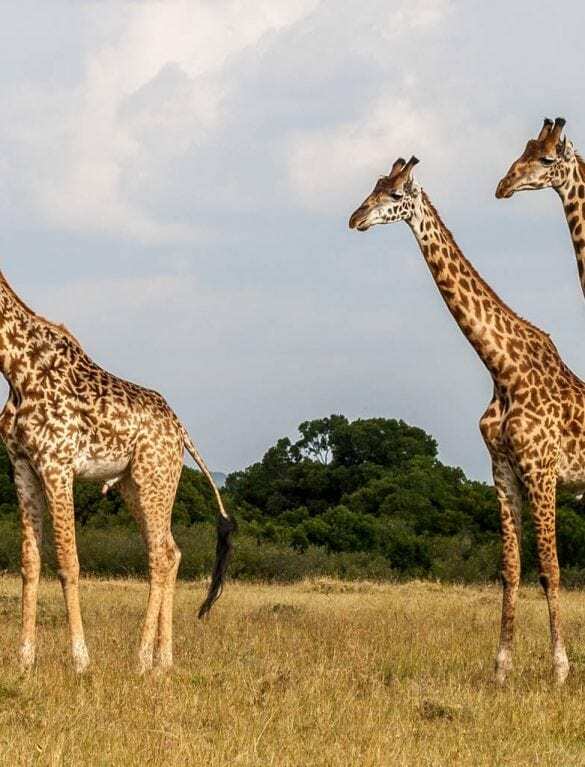 There’s plenty to keep kids occupied from outdoor adventures and wildlife galore to interactive exhibitions and some amazing museums. Our building opened in 1720 as the North Infirmary Hospital and served the people of Cork until its controversial closure in 1987. 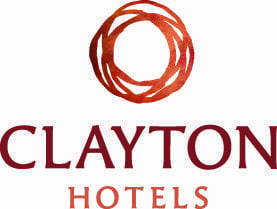 After years of neglect the site was redeveloped as a hotel before being purchased in 2008 and rebranded Maldron Hotel Cork. 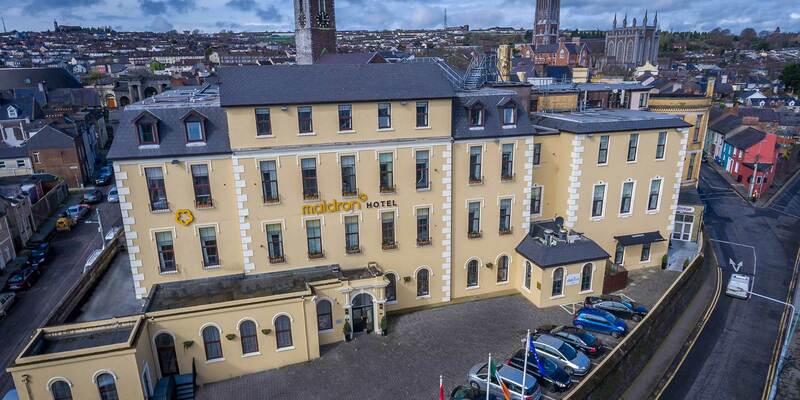 More recent investment has elevated the Maldron Hotel Shandon Cork City to 4 star status and we remain at the heart of our community. Enjoy comfortable, spacious, recently refurbished accommodation in the heart of Cork city. 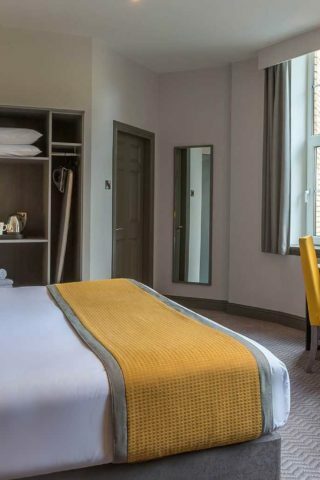 Conveniently located minutes’ walk from Patrick’s Street, Kent Station and Opera Lane, discover all that the Rebel city has to offer with this city centre hotel.